Are your eyes strained from time on electronics, reading, or maybe they are just plain tired? 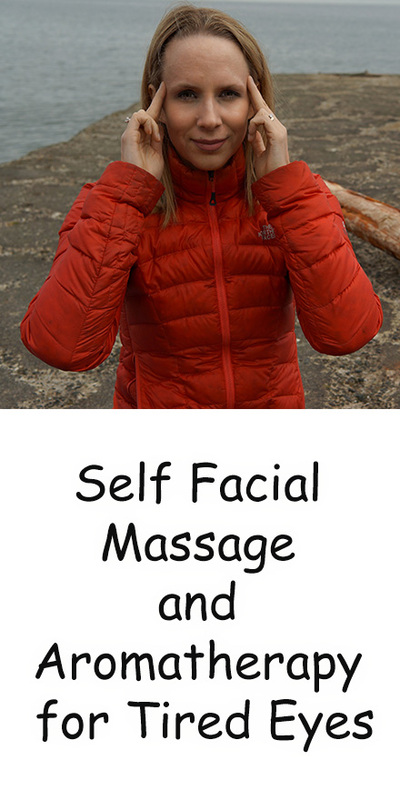 If so, this self facial massage for tired eyes is for you. 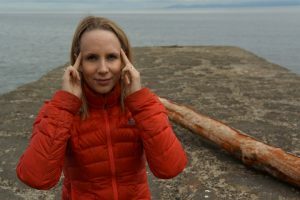 Hi I´m Dr. Melissa West, host of Yoga with Melissa, real yoga for real people, yoga so you can move better, feel better and connect with your true nature. If you are new here, I put out a new video like this every Wednesday, so be sure to subscribe and turn on notifications. If you like this video, press the like button and let me know what you like about it in the comments. Our eyes are a microcosm of our entire body. They are connected to your entire nervous system. The strain we place on our eyes allows much of the energy of our connected organs to be drained out. By doing this self-facial massage for tired eyes you will help to regenerate your nervous system, your organ body and your entire body. Palming: Start by rubbing your hands together until you feel heat in your hands. Then rest the palms of your hands over your eyes allowing your eyes to be bathed in darkness and soothed. Start by massaging between your eyebrows, to gently relieve the tension between your eyebrows. Smooth away frown lines. Then make small movements across your brow line from the inside of your brow to the outside. Then sweep across your brow line. With less pressure make small movements underneath your eye along the bone. Then sweeps. Let me know in the comments how your eyes feel after this video. Like the video and subscribe to my channel for more videos like this every Wednesday at 9 am PT. See you next week.